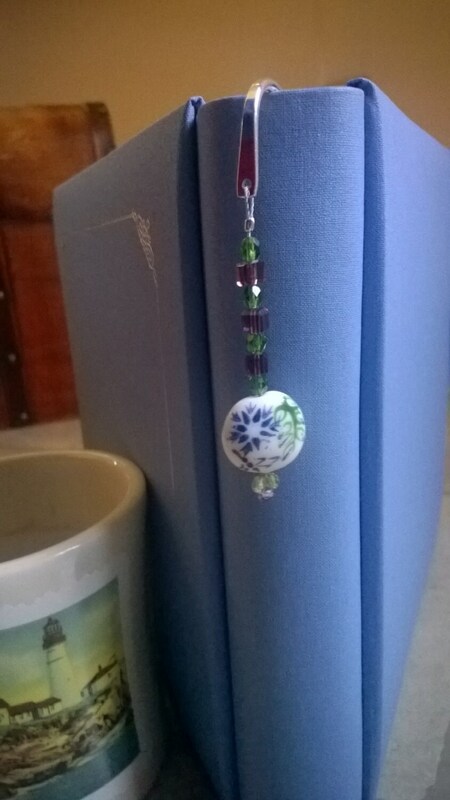 A unique, beautiful, purple and green bookmark designed especially for that book lover in your life! This one is for that special person who knows and understands the joy of holding and reading an actual book! Whether it's on the nightstand, up on the bookshelf, or on the desk...this bookmark will bring an added little beauty to any book! The metal part of the bookmark is sterling silver plated, and measures 5 inches long.